But this ghost town, which is surrounded by strikingly scenic hiking trails, quirky cowboy history, and even the tasting rooms of Arizona’s newest wine region, is also home to a friendly and comfortable bed-and-breakfast: the Dos Cabezas Spirit & Nature Retreat. Owners Charmayne and Jon Samuelson bought the Dos Cabezas property in 2007, living in a ranch-style home and hosting visitors in an adjacent guesthouse. 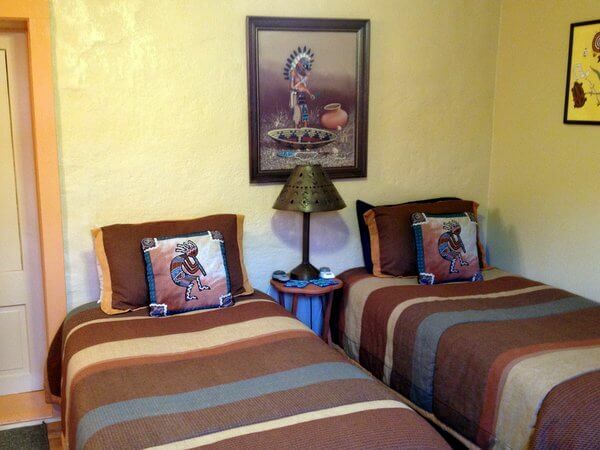 The guesthouse has two small guest bedrooms, each comfortably decorated with desert-neutral linens and Southwestern art. I stayed in the Kachina Bedroom, which has two twin beds topped with electric blankets (a welcome amenity on chilly desert nights). The Pioneer Bedroom is furnished with a queen bed. Neither guest room has any extraneous frills, but they’re both stocked with everything you need, from bedside reading lamps and hair-dryers to air-conditioning and an electric fireplace. Wi-Fi, which is included in the room rates, worked well. My cell phone couldn’t pick up a signal on the property, although it functioned fine just up the road. Double room rates at the Dos Cabezas B&B are $119/night for one or two people. Both guest rooms open onto a common living room, filled with overstuffed chairs and lots of books and flyers about area history and attractions. Next to the living room, the Samuelsons have set up a little museum-like space, its shelves stacked with pottery, minerals, old telephones, and a rather random assortment of things. 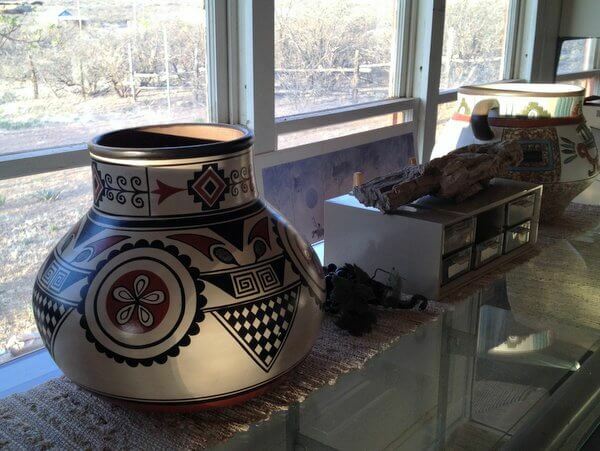 They inherited most of the goods from the property’s prior owners, a couple who made musical instruments, jewelry, and other crafts. They were gemologists, too, and the Samuelsons have boxes of their gems on display. If you’re interested in the history of the region, ask Charmayne. She can tell you about Dos Cabezas mining heritage and about some of the community’s former inhabitants. She can point out all sorts of quirky stuff in their tiny “museum” as well. Charmayne and Jon — friendly and welcoming hosts — are also a wealth of information about things to see and do in the area. Just ask! A few steps from the guest house is a historic adobe building which the Samuelsons have converted into a cozy breakfast room. They set out a complimentary Continental spread every morning, with fresh fruit, yogurt, cereals, bagels, and sometimes gooey cinnamon rolls, along with coffee and tea. Since guests often want to get started on their explorations during the cooler morning hours, breakfast is served early — from 6:30 to 8 am. At any time during your stay, though, you can store your own snacks in the guest fridge, use the microwave and toaster oven, and make yourself coffee or tea. 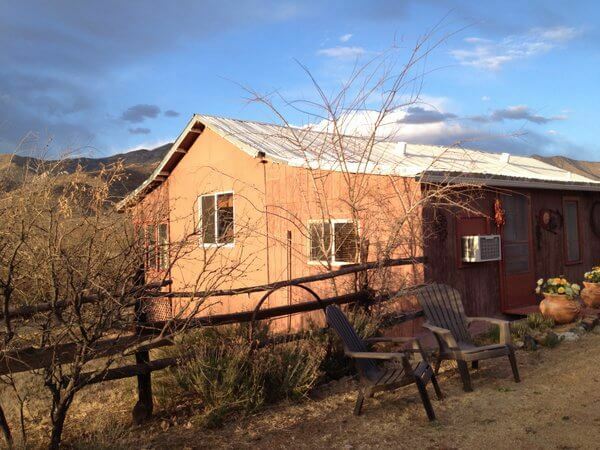 The Dos Cabezas Spirit & Nature Retreat is located in southeastern Arizona, off Highway 186, 14 miles south of the town of Willcox. Many visitors choose the B&B as their base for hiking and exploring in the Chiricahua National Monument, which is 22 miles further south. 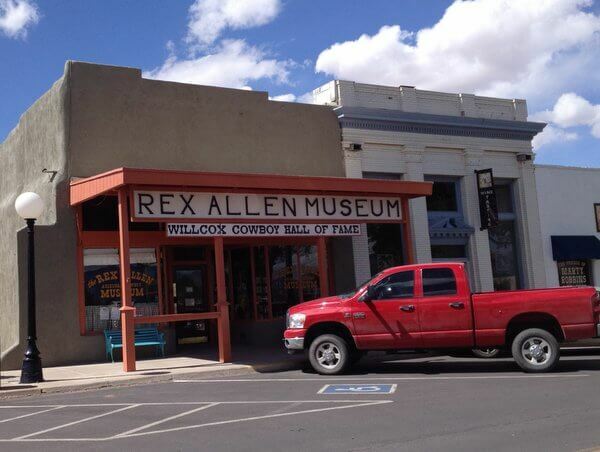 In nearby Willcox, the storefront Rex Allen Museum pays homage to the singer, rodeo performer, and actor who became known as the “Arizona Cowboy.” Allen (1920-1999), who grew up outside of Willcox, is considered the last of the “singing cowboys” to star in movie westerns. 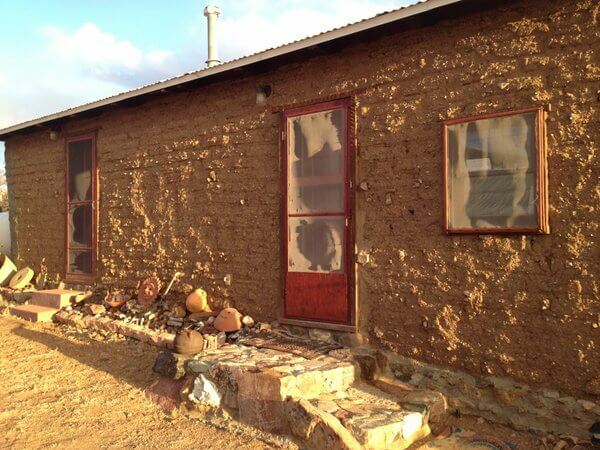 The museum is packed with artifacts from his life and also houses the Willcox Cowboy Hall of Fame, which recognizes many of the ordinary men and women who ranched and farmed in the region. 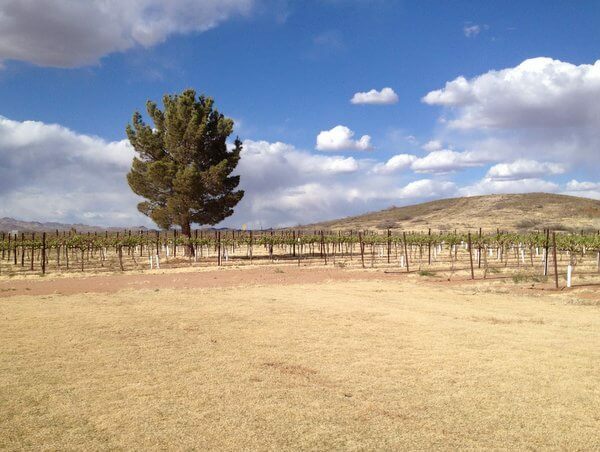 Willcox is the hub of southern Arizona’s newest wine region, with several tasting rooms — including Flying Leap Vineyards, Keeling Schaefer Vineyards, Aridus Wine Company, and Carlson Creek Vineyards — conveniently located on a two-block stretch of the sleepy but historic downtown. Several more wineries have tasting rooms overlooking their vineyards; Coronado Vineyards opened a tasting bar and tapas lounge in a former country club just east of town, while Zapara Vineyard is off Kansas Settlement Road between Willcox and Dos Cabezas. Most of the tasting rooms are open Friday through Sunday. And if you pick up a bottle of wine to sip outside the Dos Cabezas Spirit & Nature Retreat, as the sun goes down over the mountains, I’m sure the ghosts of Dos Cabezas would raise a glass or two with you. P.S. To increase your chances of actually spotting a ghost in southern Arizona, check out Beds, Ghosts, and Breakfast in Bisbee, Arizona. Hotel review by Vancouver-based travel, food, and feature writer Carolyn B. Heller, author of the books, Moon Handbooks: Ontario and Living Abroad in Canada. Photos © Carolyn B. Heller. The Dos Cabezas Spirit & Nature Retreat, in conjunction with the Arizona Office of Tourism and Cochise County Tourism, hosted my stay for review purposes.